The Yasser Arafat Museum aims to present to the world and the people of Palestine, the contemporary narrative of the Palestinian national movement through the life and work of Yasser Arafat, the historic leader of the Palestinian people, within an educational and cultural setting. 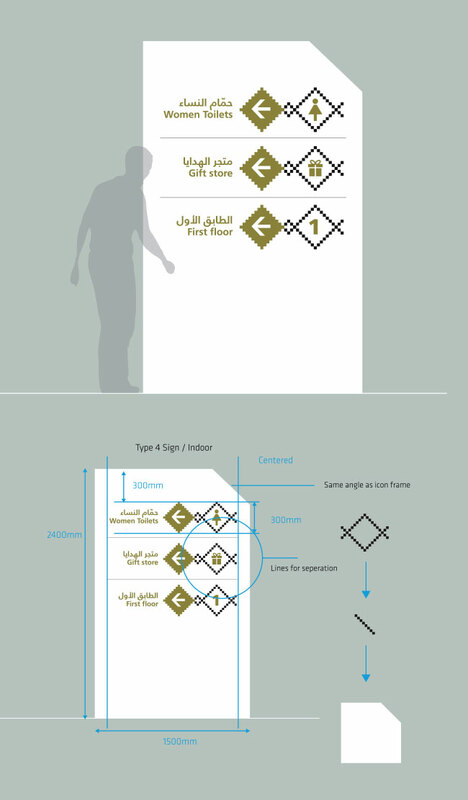 Tarek Atrissi Design was commissioned by the Ramallah based museum to design a comprehensive wayfinding and signage system design, to visually help visitors circulate in the museum. 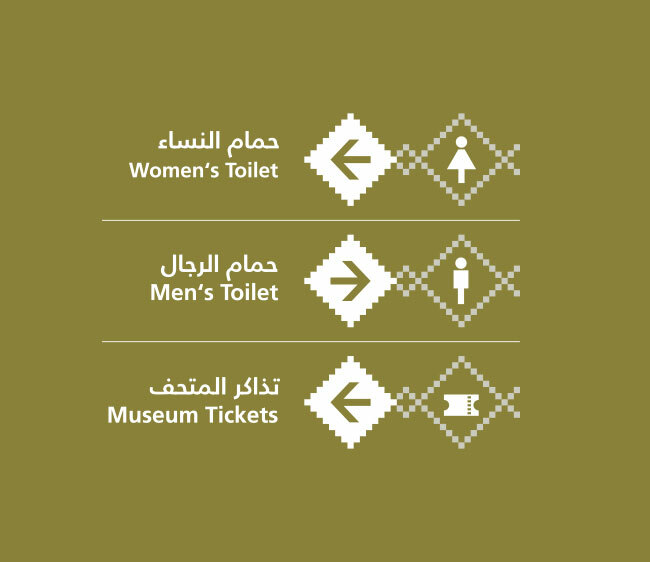 The design was bilingual, supporting both the Arabic and English languages adopted in all communication of the museum. The design was inspired by the traditional Palestinian embroideries and patterns: yet abstracted into a simplified visual language. A dynamic framing system was created, allowing icons and arrows to be connected and combined in a flexible way that was very functional yet that remained visually and graphically very rooted. The main colors applied were linked to the visual identity of the museum, and inspired by the olive green colors traditionally associated with Palestine. 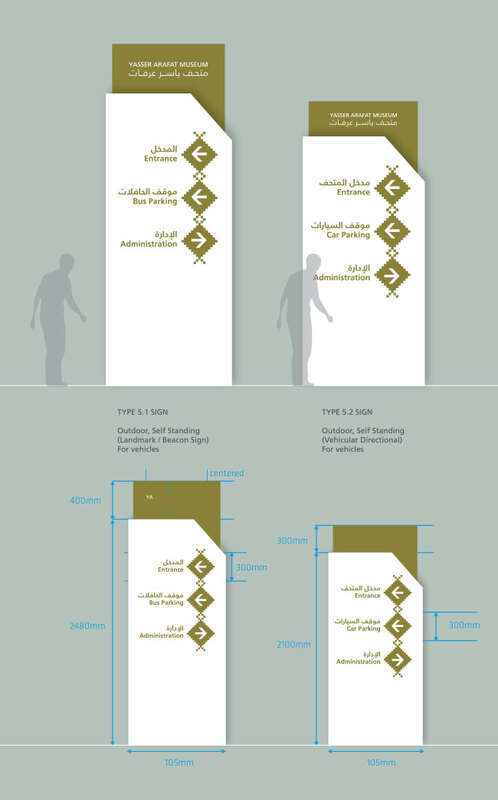 All type of signs were designed for the museum, indoor and outdoor, both for vehicles and pedestrians, and were delivered as templates ready to be used and updated by the museum staff. In addition, comprehensive signage guidelines were designed and presented in an elaborate document that defined the entire system of wayfinding: detailing all specs for used graphics, illustrations, icons and typography; and explaining the rules of using them to create the signage in a consistent and practical way.